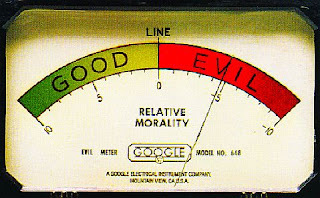 What is been commonly projected as morality are mostly selfish beliefs by an individual or a cult to keep masses obedient. The cult can hide in many masks that of religion, god, nation, race or colour. If any of the former is referred as the key towards morality then it is clearly the worst disgrace humanity can ever have, because it is visible in plain sight how many animal species take care of their elderly and young ones, how they help and protect each other for survival. The same animals that are considered inferior to humans are capable of all these things and still some keep on insisting that humans need the above masks to be moral. It is a fact that society is what demanded and nurtured morality in us; they cultivated our inborn instincts as a social animal in general for decades and thus helped us to survive for 5000 odd years through interdependence. Hence the reasonable thing to say is that we are not morally fixed, morality is something that entirely depends on survival and it’s a mindset that will bespeak according to the living conditions and the way of the packs alpha. A fact that we should always remember is that we are animals, though we have a remarkable brain which can think and reason, it is more dangerous and unpredictable than any other too. So more than the animal instincts of social living there should be a moral code, unlike that of outdated religious or cultural nonsense, a well thought well reasoned set of codes to teach and raise our children so that they can live in a safer, better place of tomorrow. Hemingway said morality is when you feel good after doing this and immoral is when you feel bad. Simple! It is simple that is why we need empathy not religion or god or any other mambo jumbo like that.